I have both the 1990 and 2017 versions of the movie IT. 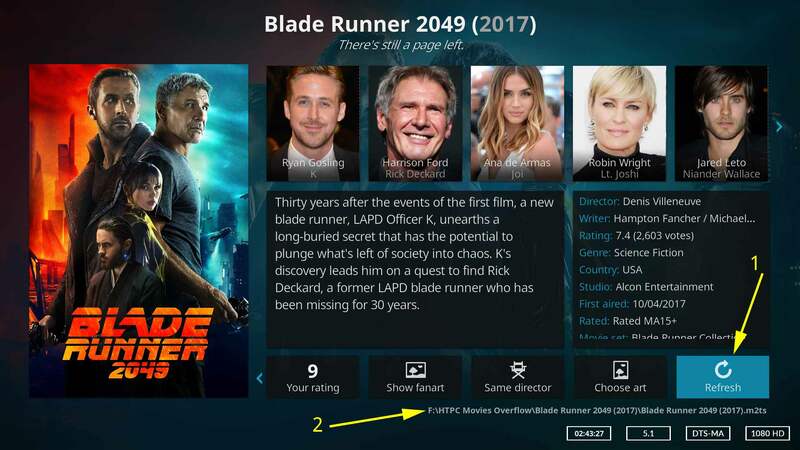 Kodi loads them both as the 2017 version. I went in to change the 1990 to show it as the 1990 one but that version doesn't show up as an option. I have tried renaming it and everything but I can't get it to show. I even just named it stephen king and all kinds of movies based on his books come up in list except IT. Rosemary's baby is also doing the same. I have the original and the 2014 but they are both listing as the 1968 version and the 2014 version doesn't even show as an option to change it to. On the other 2 computers kodi has allowed me to separate them into their correct years. I don't know why it won't let me now. Any ideas? I did the refresh to change it but no listing. The scraper has it listed as a TV show but it's on one dvd disc. The stand is technically a TV mini series too but it shows up in the movies section. And why does it show up in the krypton version but not the Leia version? Ok, that is the problem. TheMovieDB changed things mid year. TV mini series are no longer listed as Movies. They have all been moved to TV Shows at the site. This is why you should check the site when having problems. It has nothing to do with what version Kodi you are using. It is simply a matter of timing. You scraped once while it was a movie, on rescrape it has since been reclassified as a tv show.